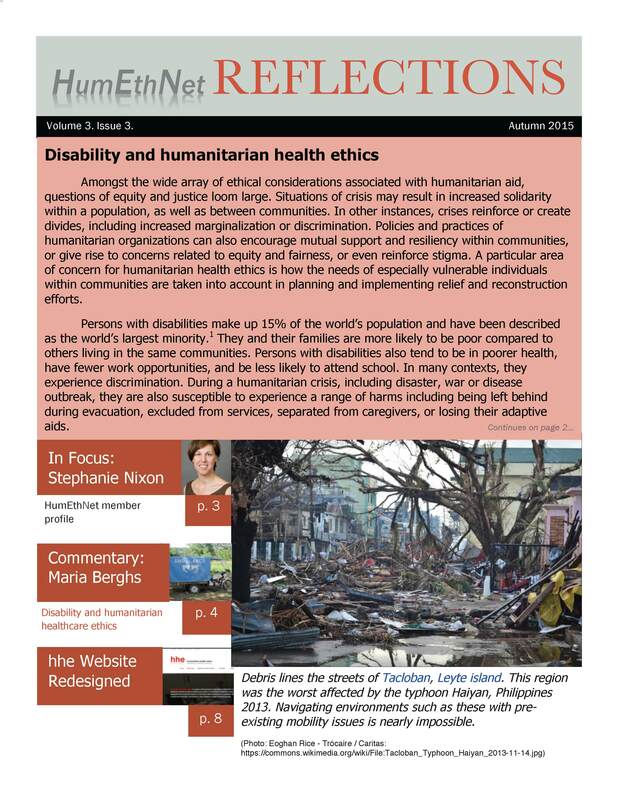 REFLECTIONS is the newsletter of the Humanitarian Healthcare Ethics Network. It is an online publication featuring broad disciplinary, organizational, professional, and cultural perspectives on the development of realistic applications for ethics in humanitarian healthcare practice. Subscription is free. Since 2016, Reflections is published on an online subscription-based platform. The 2016 Reflections archive can be found here.